Enjoy an ocean sunset from your caravan without trekking to WA. Travelling with parents, siblings, kids, grandkids and other family members can be an enriching holiday option “Intergeneration travel” as it’s called, is the latest buzzword in the caravan and camping industry. For those who make the annual pilgrimage to South Australia’s Moonta Bay, there’s a general consensus they’ve found one of the best places to please everyone. Ease of access to the Yorke Peninsula, just two hours north of Adelaide, is one of the main reasons for its popularity. It’s not uncommon to see caravanners heading along National Highway A1 to escape the city on weekends. Turning onto the Copper Coast Highway after Port Wakefield, it’s just a further 45 minutes through golden farmland to Moonta. One of the first things you notice are houses are flying two flags; one Australian and the other the Cornish flag. Cornish heritage in the area dates back to the late 19th and early 20th centuries, when immigrants came to mine copper. Many of the town’s historic low roofed miner’s cottages are still standing and inhabited today. Another advantage of Moonta’s historic links with this little corner of England is it boasts some of the best Cornish pasties around. A visit to any local local bakery is guaranteed to satisfy. Follow the signs and head another four kilometres west and you’ll be taken to the town’s namesake Moonta Bay, on the east coast of Port Augusta. A spectacular 500 metre-long L-shaped jetty is the centrepiece of the view. 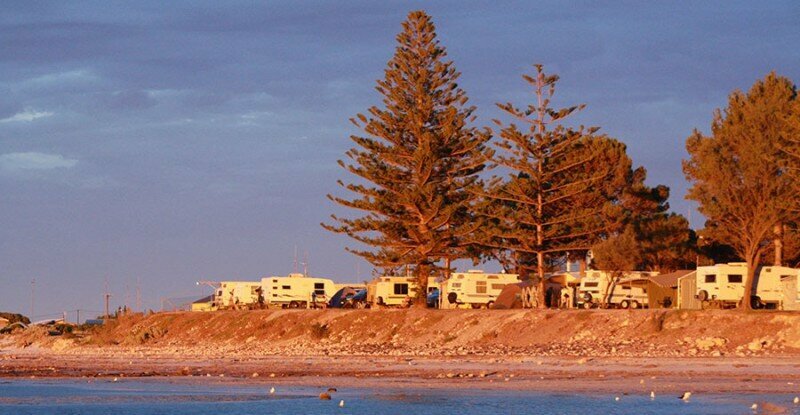 Also in prime position overlooking the bay sits the family friendly Moonta Bay Caravan Park. Thanks to its split-level design, many sites have panoramic views. A curved path and rock wall separates the park from the beach, with two sets of stairs making it easily accessible. During the day the wide stretch of ridged sand is a magnet for the whole family, including the dog. The jetty also has a safe, fenced swimming enclosure with a ladder for easy access and a pontoon anchored within the enclosure. The pristine waters are known for excellent fishing with the drawcards the squid and blue swimmer crabs. Cooking up the catch of the day is easy; the caravan park is well equipped with fish cleaning stations and they’ll even supply crab-cooking pots. There is a clean and spacious camp kitchen and plenty of barbecues in the park too. More fun can be found at Splash Town, a water leisure park located on the foreshore next to the caravan park. This free attraction provides hours of fun for the young and young at heart. The most anticipated event of all, though, is the sunset. You don’t need to go all the way to Western Australia to get a spectacular ocean sunset photo. Every day at Moonta Bay you’ll see shutterbugs trying to capture the perfect shot as the sun melts into the water. Another must see beach nearby is The Gap. Accessible by two and four wheel drive vehicles, head south on the Moonta Bay to Maitland Road for approximately 24km. Signs lead you off bitumen and onto a short stretch of dirt, before delivering you to a long white sandy beach that even locals rave about. Though popular, it’s never too hard to find a patch of paradise to spend a day in the cool water, which more often than not you’ll be sharing with dolphins. 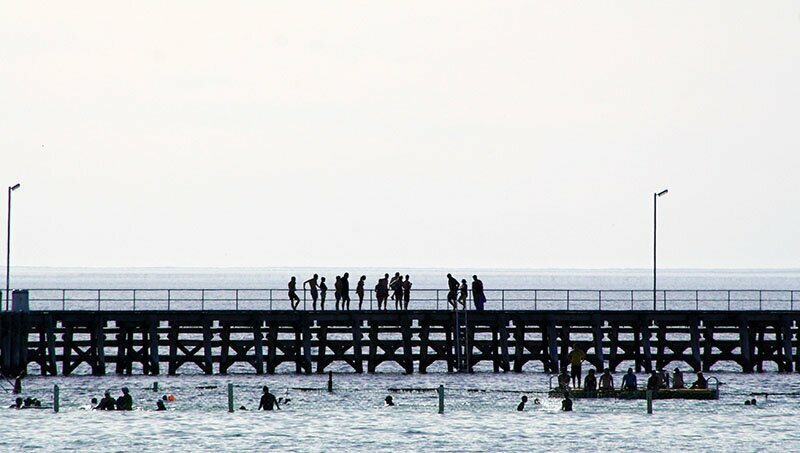 At the end of the day, Moonta has all you need including a supermarket, cafes, hotels and a tackle shop, as well as specialty and second hand shops. 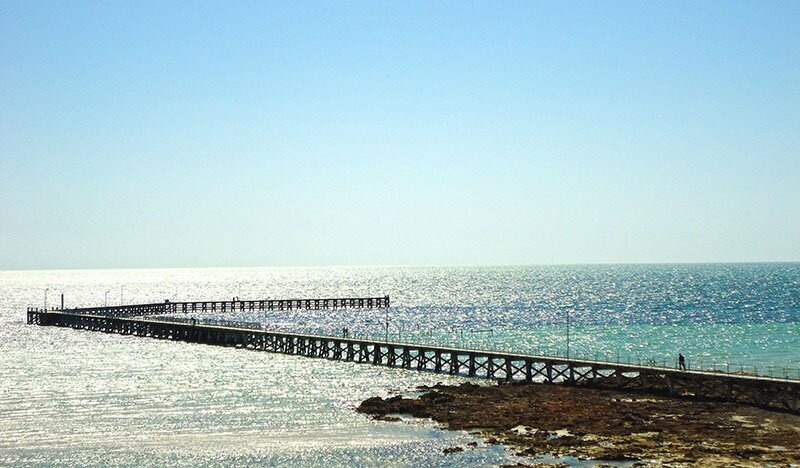 Moonta Bay is 167km from Adelaide via National Highway A1 and the Copper Coast Highway. 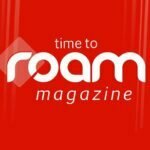 Visit yorkepeninsula.com.au for more info.